The ultimate goal of TRIBE is to improve overall school climate and to lay foundations for building relationships that will pay dividends in the future. Together through consistency and positive relationships, we will improve the behavior of all students. TRIBE aims to decrease behavioral infractions, showing annual improvement. We hope to develop a positive school community, to teach everyone the expectations for our school, and to acknowledge students for being members of the TRIBE. By concentrating on positive behaviors, we will create and maintain a positive and safe learning environment. Being consistent with addressing students when they do and do not meet our behavioral expectations will increase compliance, provide them with greater structure, and clarify expected behavior. 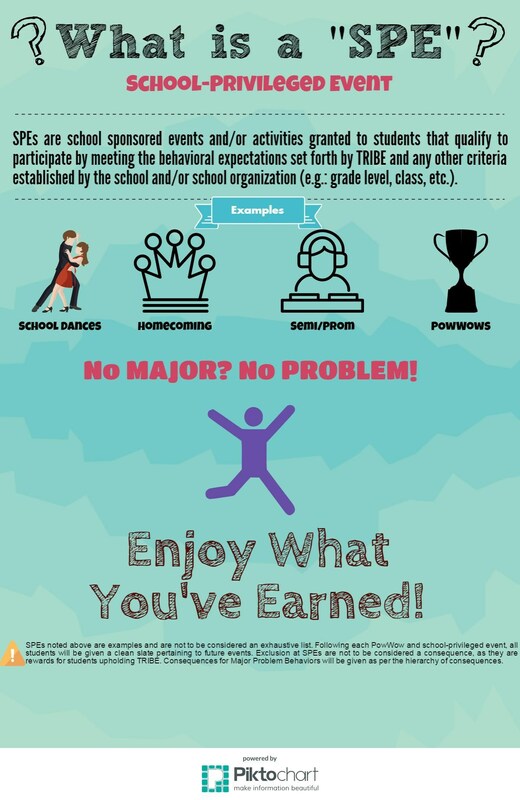 TRIBE encompasses five (5) behavioral expectations. Students, faculty, and staff at Lakeland Jr/Sr High School will demonstrate the five (5) behavioral expectations within both the learning environment and non-learning environment settings at all times.